Charge Point Cards are required to use the EV Station at the First Avenue Garage. The Pittsburgh Parking Authority's new user-friendly Online Hearing option provides a convenient option in addition to the conventional way by scheduling a hearing and appearing in person. The Online Hearings will further complement our Online Payment option as well. Pay-by-License Plate Multi-Space Meter Technology Comes To The City of Pittsburgh. Another first for the City. Looking for a place to park? Check out the PPA Facility Locator. Find Attended Lots, Garages, and Neighborhood Lots. 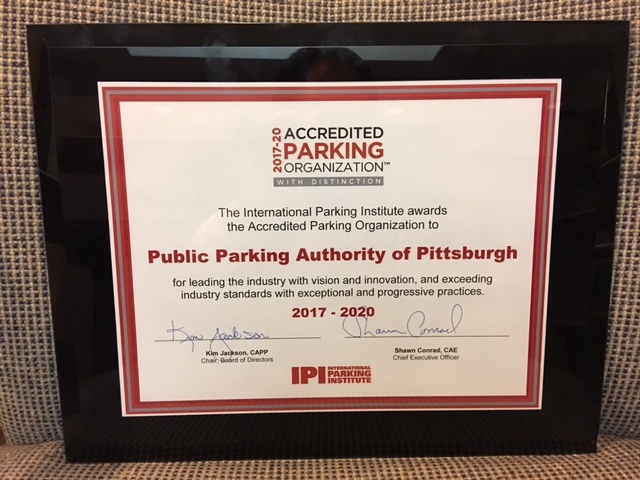 What's New at the PPA? The City of Pittsburgh’s 2019 Street Cleaning program will begin on April 1. Also beginning on that date, all posted parking restrictions related to cleaning operations will be enforced by Parking Authority. WANT TO KNOW WHAT IS HAPPENING IN THE CITY OF PITTSBURGH? The Authority has an organization wide commitment to sustainability. For a summary of our sustainability guidelines, click here. Thursday April 18, 2019 at 10:00AM. Please Note: The Pittsburgh Parking Authority Monthly Board meetings are conducted and open to the public on the Third Thursday of each month at 10:00AM in the Authority Board Room, unless otherwise noted. ELECTRIC VEHICLE (EV) CHARGES AT FIRST AVENUE GARAGE AND T STATION! THE AUTHORITY IS PLEASED TO REPORT THAT ADDITIONAL ELECTRIC VEHICLE CHARGERS HAVE BEEN INSTALLED AND ACTIVATED IN THE FIRST AVENUE GARAGE. THERE ARE A TOTAL OF 3 SINGLE CHARGERS AND 6 DUAL CHARGERS WITH THE CAPACITY TO CHARGE 15 ELECTRIC VEHICLES AT THIS GARAGE. The charging stations are highly visible and clearly marked. They are located on the 3rd Floor of the First Avenue Garage adjacent to the T-Station and Elevator lobby. 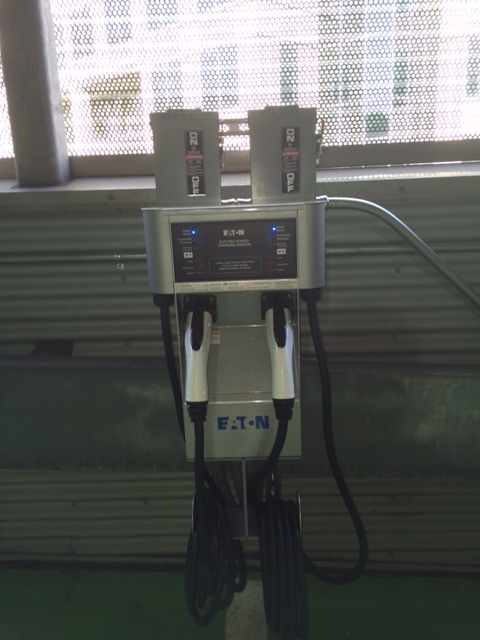 Two new Eaton Level II Electric Vehicle (EV) Chargers now in the Grant Street Transporation Center! The Authority would like to report a second location for the placement of two (2) Eaton level II Dual Electric Vehicle Chargers in the Red Garage at the Grant Street Transportation Center located on the 2nd Floor . These Charges can charge four vehicles with a 4 hour charging time. 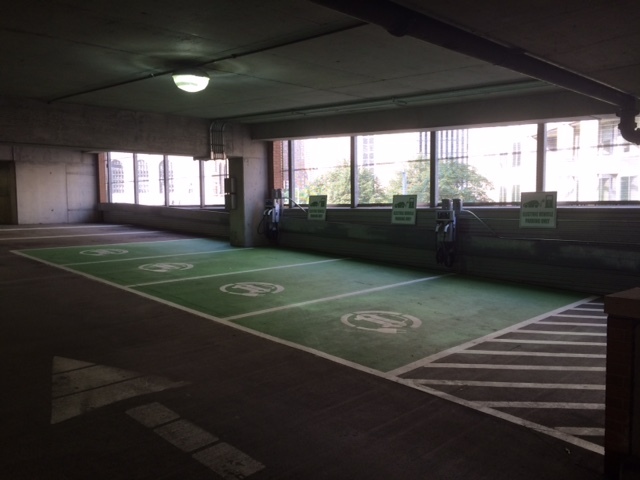 The four parking spaces dedicated to the EV charging stations are highly visible and clearly marked and signed and are close to the 2nd Floor Elevators. View a MAP of Pittsburgh neighborhoods here. Or on the Residential Permit Parking page under the Areas and Districts chart. Please check out the new bicycle station located within the 3rd Avenue Garage! In order to better serve you and answer any questions you may have regarding City of Pittsburgh Traffic Ordinances - please click on this link and review the information therein. Please take a moment and view our instructional video on how to operate our Pay-by-License Plate multi space meters. The Residential Permit Parking Program (RPPP) was designed to free up on-street parking for neighborhood residents by preventing all day commuters parking on residential streets.